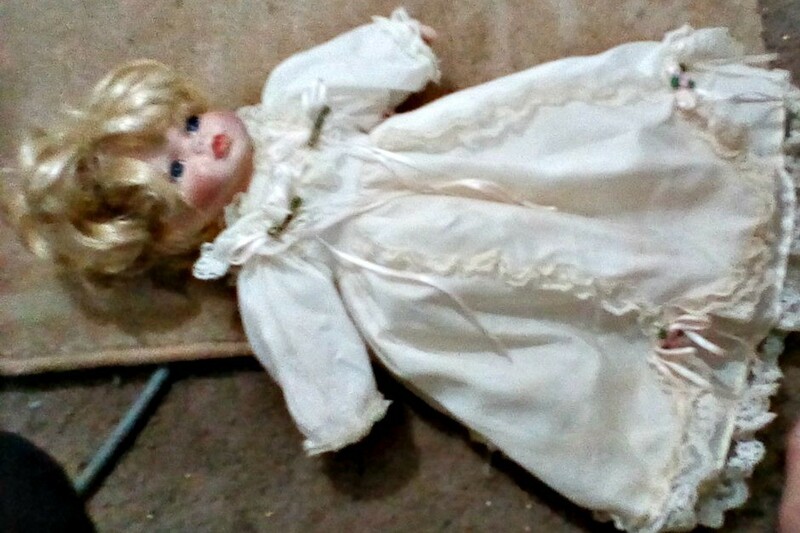 I have this porcelain doll with numbers engraved on her neck 9407 and a symbol that looks like a back to front J. I am just wanting help in identifying who made her and how much she is worth. It will probably take a doll "expert" to help you identify your doll because the only way to do research is if we have an idea of what brand it is. Dealers who sell dolls might be able to help with an id with just this much information as they might recognize the number series and anything else you supply. They can sometimes tell what brand by the clothes the doll is wearing. You can go on line and get an appraisal but some dealers charge a medium to high fee for their services. There is an eBay member who does doll appraisals and she has a very good reputation and only charges $4. Here is a link to her site if you would like to check it out. There is a website called www.dollreference.com and that is a good place to start your research.